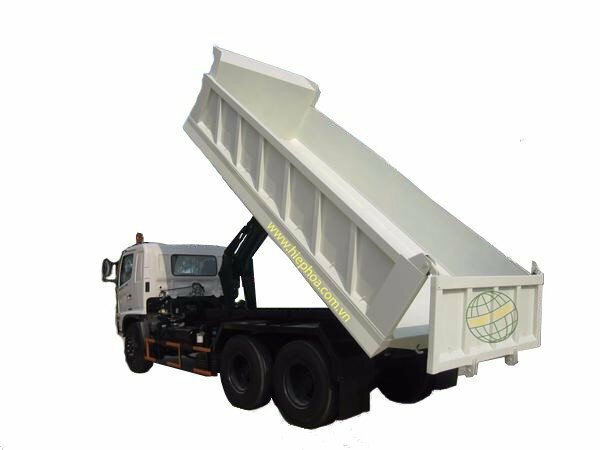 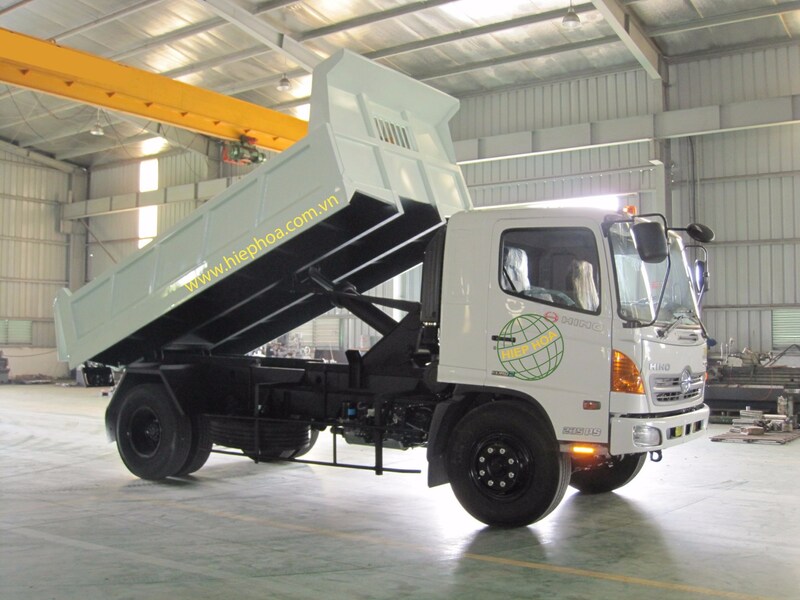 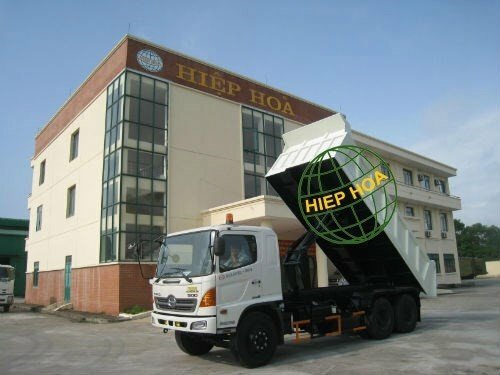 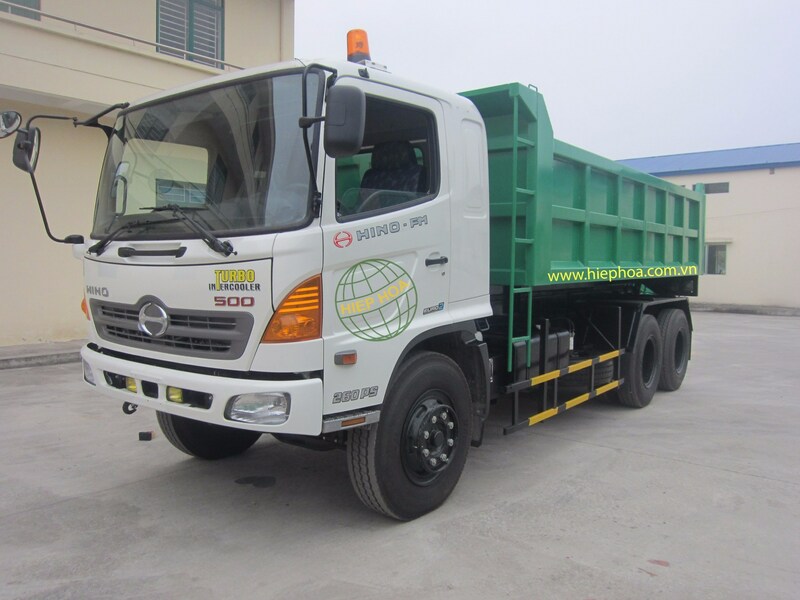 Hiephoa's dump truck (tipper truck) is use for transporting loose materials (sand, gravel or dirt etc.) 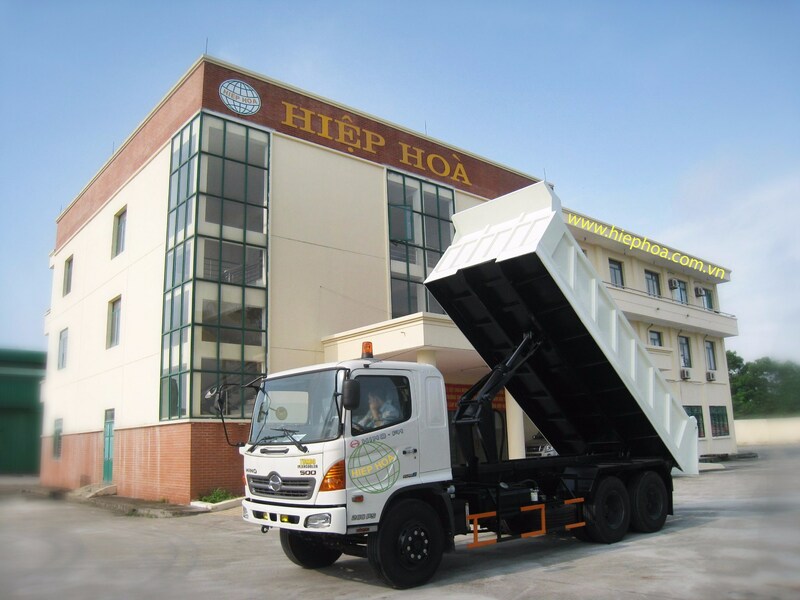 for construction. 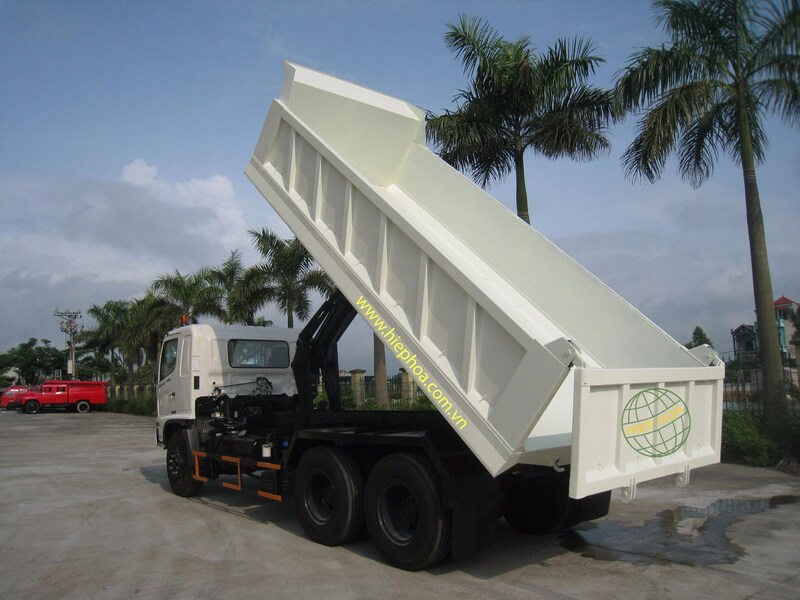 A typical dump truck is equipped with an open-box bed, which is hinged at the rear and equipped with hydraulic pistons to lift the front, allowing the material in the bed to be deposited ("dumped") on the ground behind the truck at the site of delivery.